I’m a lucky person. My most recent job had me meeting new people everyday and I’ve been fortunate enough to stay in touch with some of those awesome people. The reason they’re so awesome? They’re FFAs (Fellow Food Appreciators… and, since they hail from Ramona, probably also Future Farmers of America). Remember my good friend D who miraculously paired pomegranate seeds with spinach and bacon? 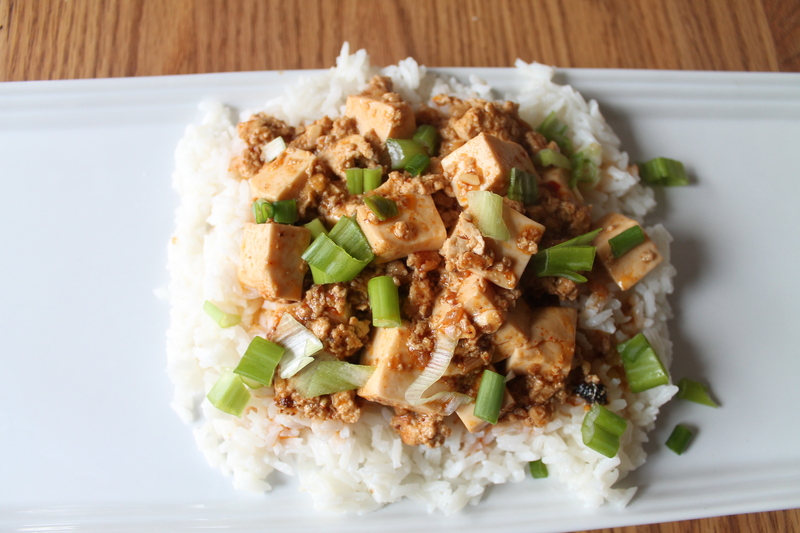 Well, his dad (Dan) made something recently I had never heard of: Mapo Tofu. 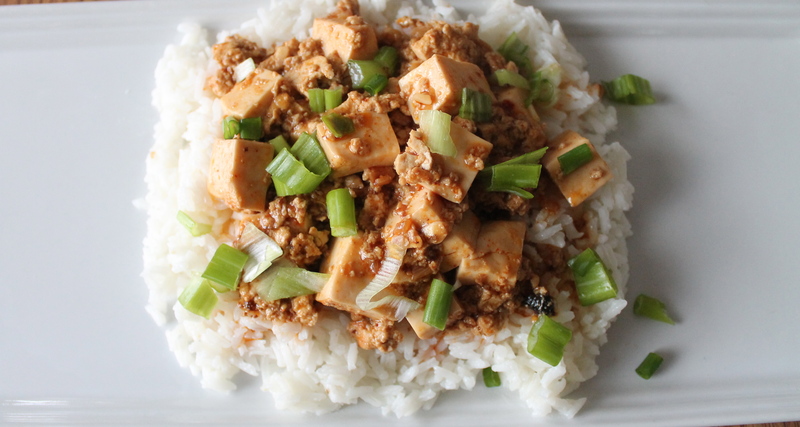 The origin of the dish’s name is somewhat unsettling, as it translates to “Pockmarked-Face Lady’s Tofu.” But I’m not a book-cover judger, and it just so happens that Pockmarked-Face Lady makes one delicious tofu dish. The dish hails from the Sichuan province in China and is extra spicy (read: have extra napkins handy for your nose, which will inevitably run). Dan was kind enough to let me use most of the necessary ingredients, which he had on hand (he’s an FFA, remember), but he also directed me to local Asian markets shall I ever need to purchase the necessities myself — 99 Ranch Market in Clairemont for all you San Diego natives reading this). 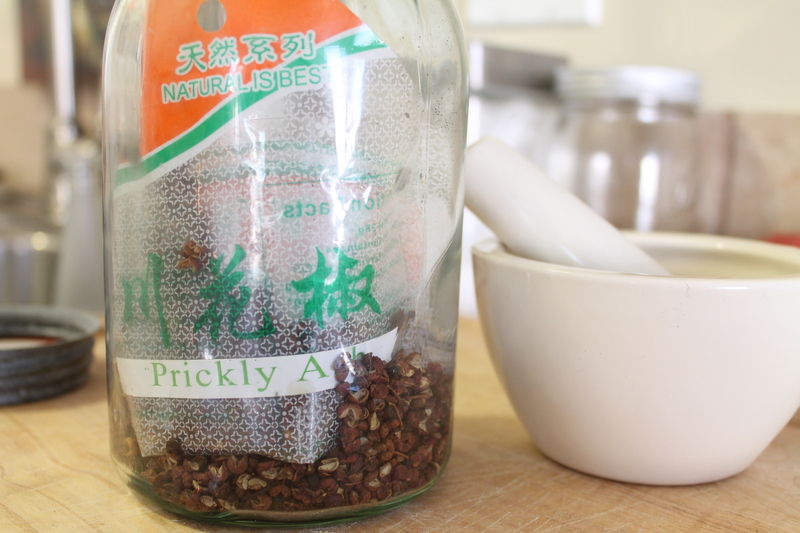 I got to check out fermented black beans up close (nope, that is NOT a dead bug), sniff out hot peppercorns (prickly ash) and tantalize my tastebuds with sesame chili oil (I can use this in every dish from here on out, yeah?). I adapted the recipe below from here, so click that linky for the real deal, grab a glass of milk and get cookin’! 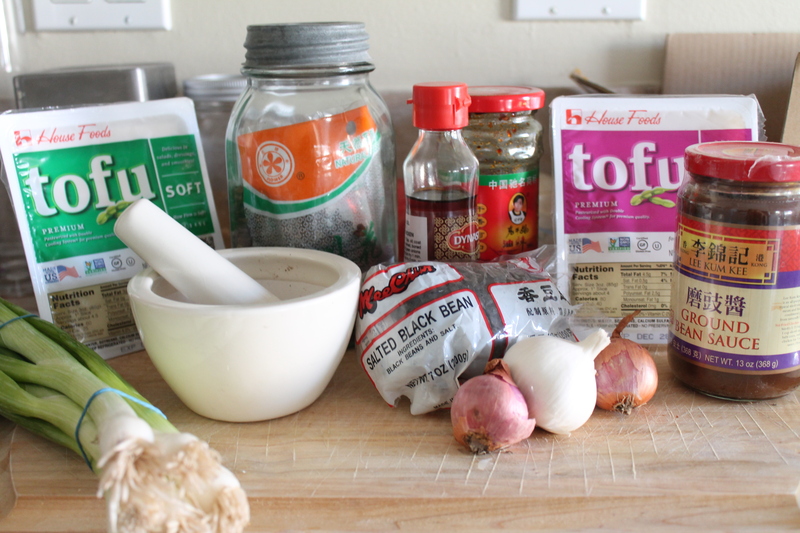 Cut the silken tofu into small pieces, drain the water from the tofu and set aside. 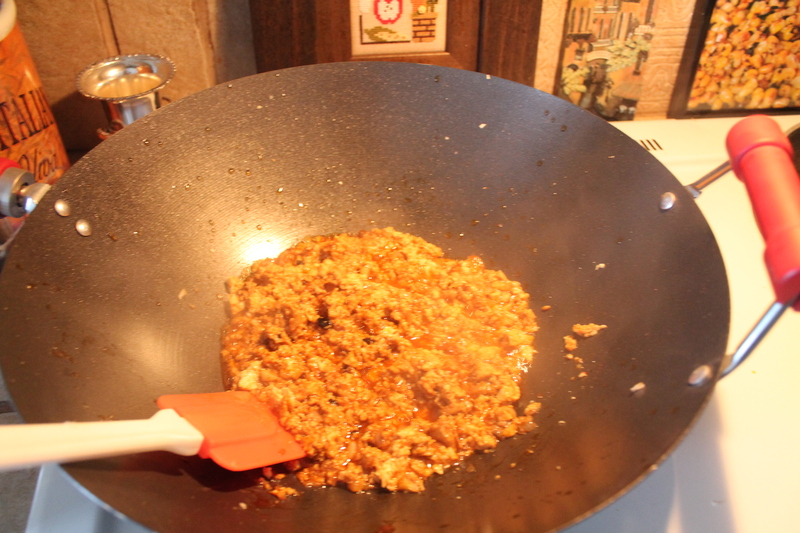 Heat up a wok and pour in the EVOO and chili oil. 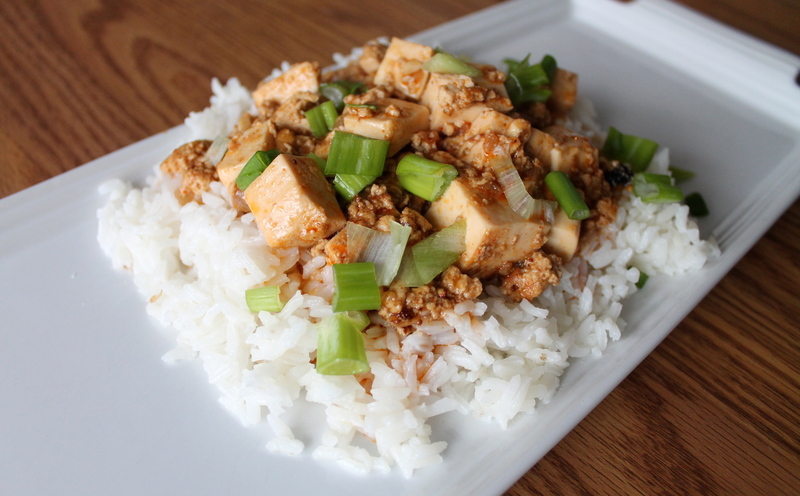 Add the chopped garlic, shallots, crumbled firm tofu, spicy bean paste and stir-fry for about 5 minutes. Add in chili powder, soy sauce, fermented black beans and stir-fry until aromatic. Add in the silken tofu and water; stir gently to blend the tofu (don’t break them) well with the sauce. Lower the heat and simmer for about 3-5 mins, or until the sauce thickens. Add in the roasted Sichuan peppercorn powder and gently stir and blend well. Dish over jasmine rice, top with chopped scallions and serve hot.